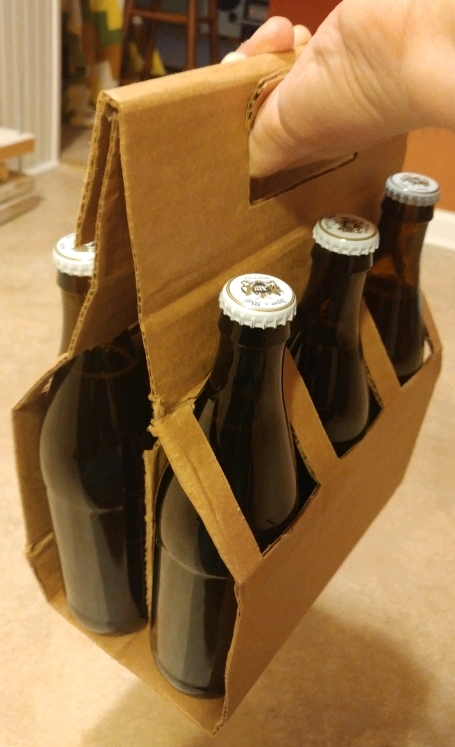 I’ve been looking for inspiration for a folded cardboard bottle carrier. I have lots of saved six pack carriers, but the 500ml (16.9oz) bottles I love so much are a larger diameter and don’t fit. I’ve got a lotsa boxes. Here’s a rough draft. Works great already.